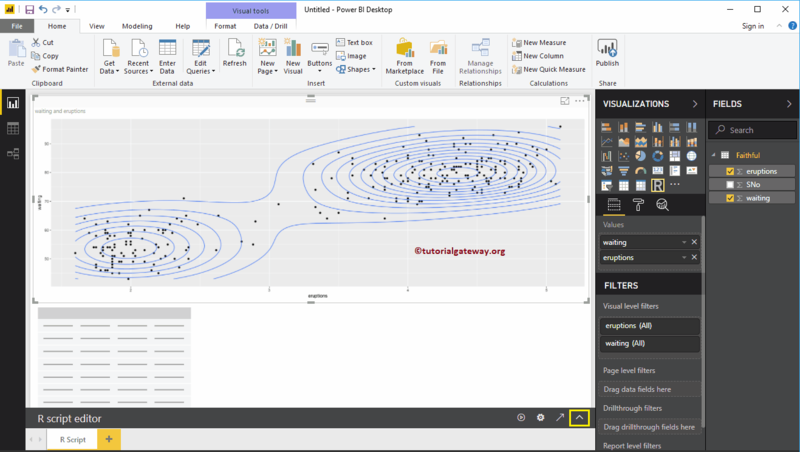 Power BI R Script allows to use R visuals or R charts inside your Power BI dashboard. This will be very helpful for the data scientists to place their work in one place. 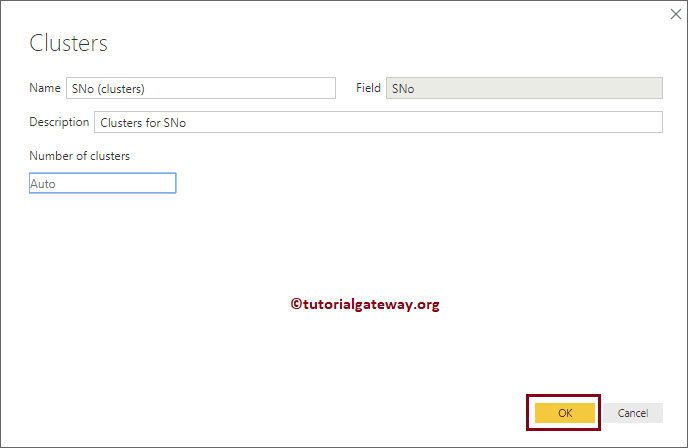 In this article we will show you, How to create a chart using Power BI R Script with example. 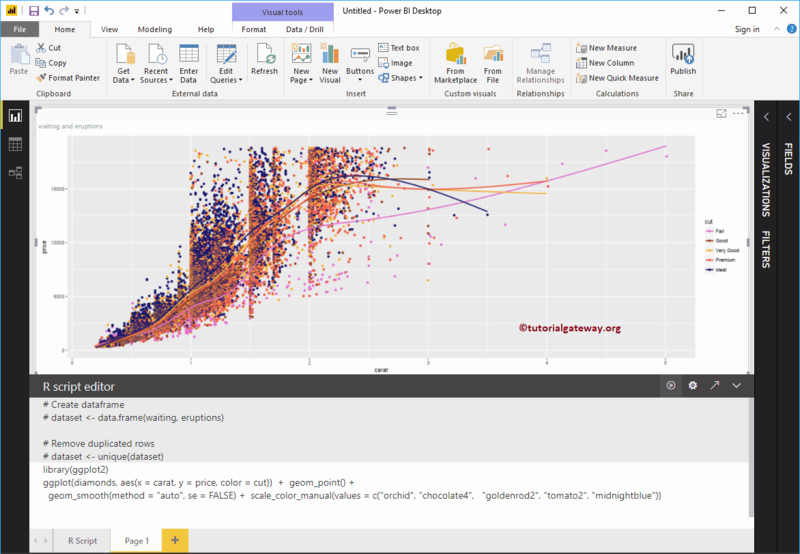 For this Power BI R Script demonstration, we are going to use the Faithful CSV file that was originally created for R studio. I suggest you to refer R Programming to understand the code that we used in this article. In Power BI, you can use this R Script Visual to create R Charts inside a Power Bi dashboard. First, click on the R Script Visual under the Visualization section. 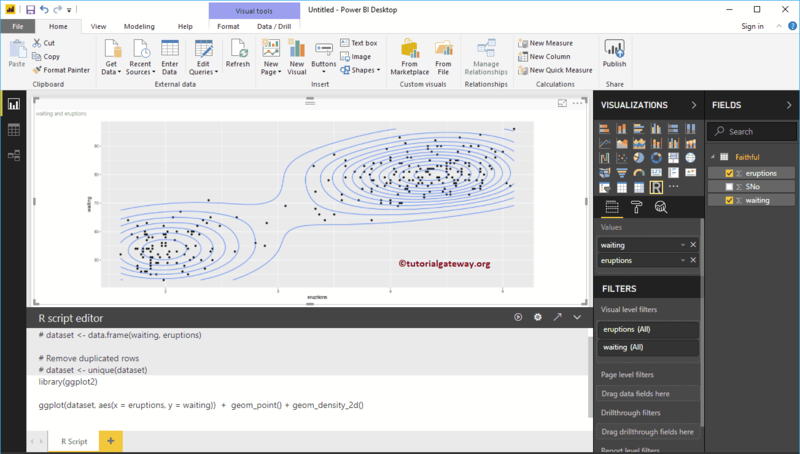 This will automatically create a R Chart with R script editor as shown in below screenshot. 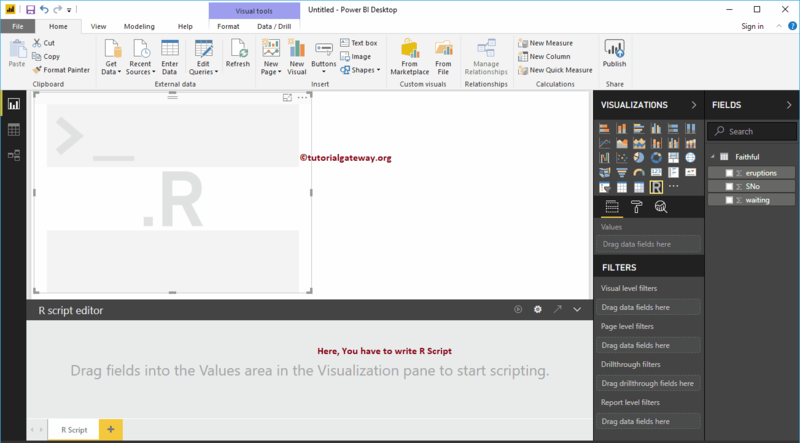 You have to use this R script editor window to write R script. 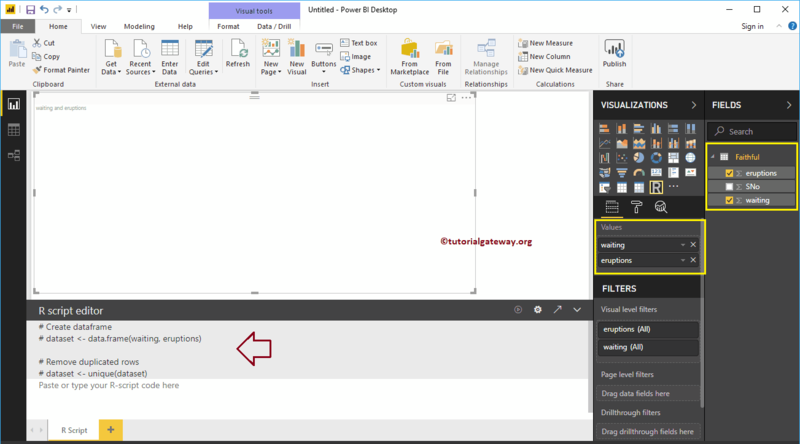 As you can see from the above screenshot, Power BI has automatically generated a data set for you. 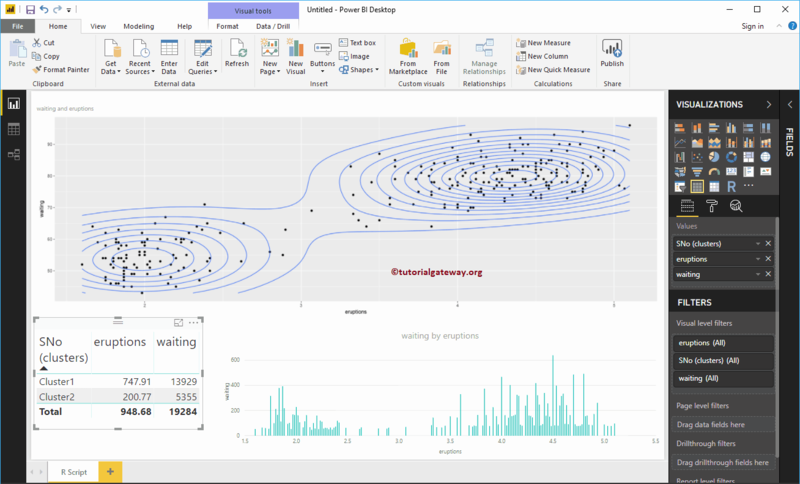 Now, you have to use this data set to create your R visual. 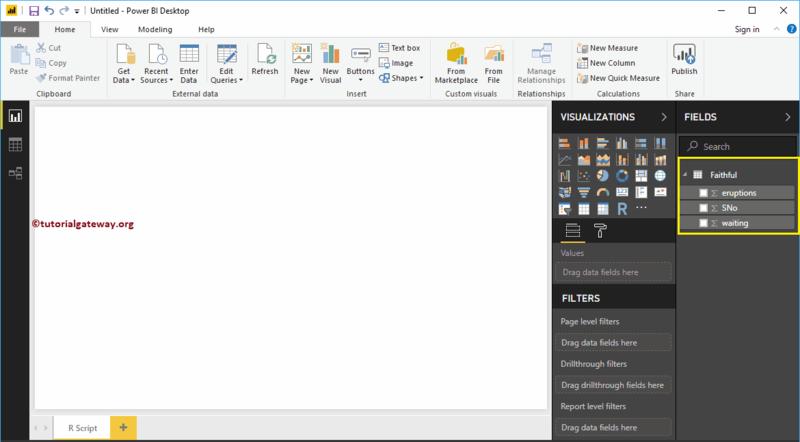 Like any other chart in Power BI, you can apply filters on R chart as well. 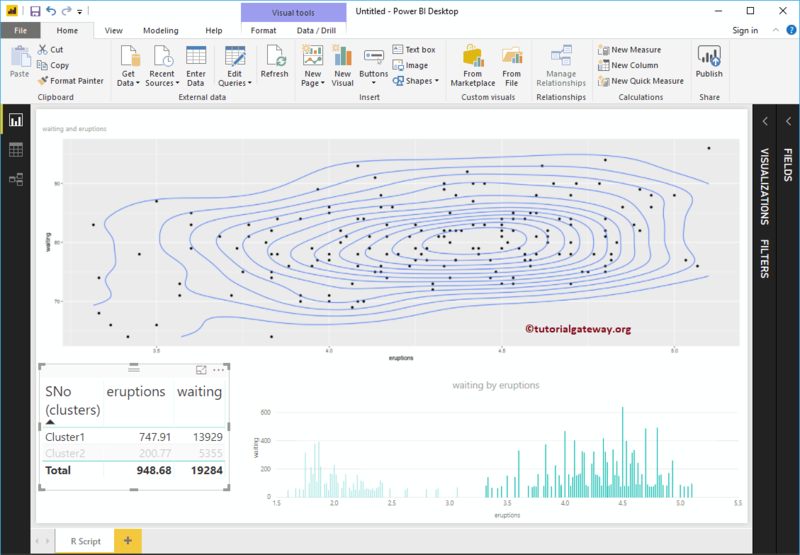 To demonstrate the Power BI R script filters, let me create a table first. We created a column chart as well. I think, there is too much data in the table to apply filters. So, let me create a cluster. Let me select the Cluster 1. From the below screenshot, you can see that the R visual is filtering. 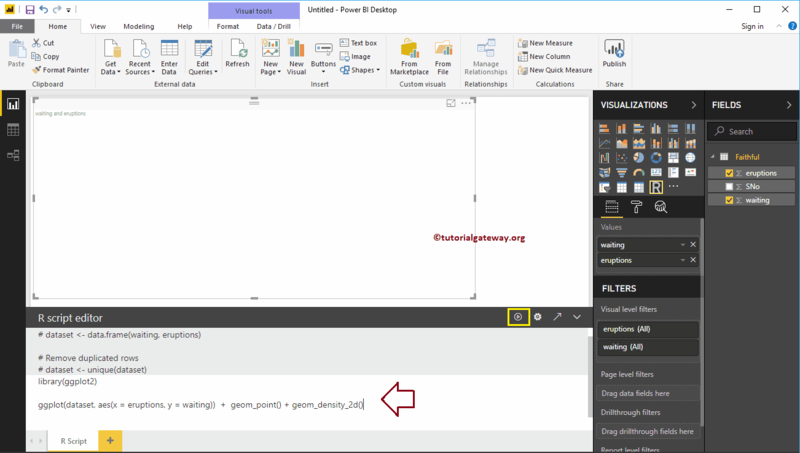 In Power BI, you can also create a R visual with default data sets available in R. To demonstrate the same we are using the Diamonds data set.